The year in twelve pictures! All of us at Thanda Safari wish you a Happy New Year 2019. Christian Sperka, Thanda Safari’s Resident Wildlife Photographer, shares twelve of his favourite wildlife images of 2018. Enjoy the pictures! I took this picture of the head of one of the Zulu families which I visit regularly with Thanda guests. Mr.Ntshangase and I enjoyed the photo shoot immensely. 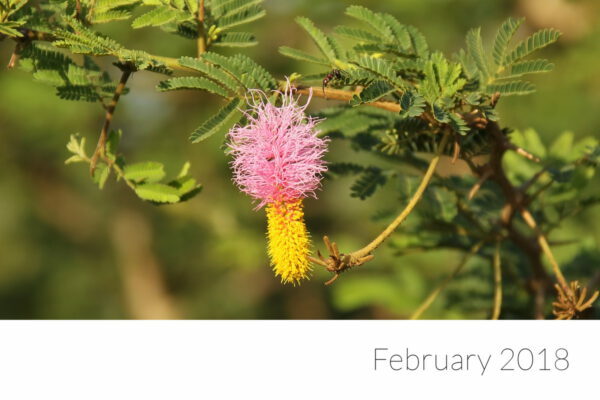 The little 'Chinese lantern' is my favourite summer flower (Dichrostachys cinerea, also know as Sickle Bush, Bell Mimosa, Chinese Lantern Tree or Kalahari Christmas Tree). 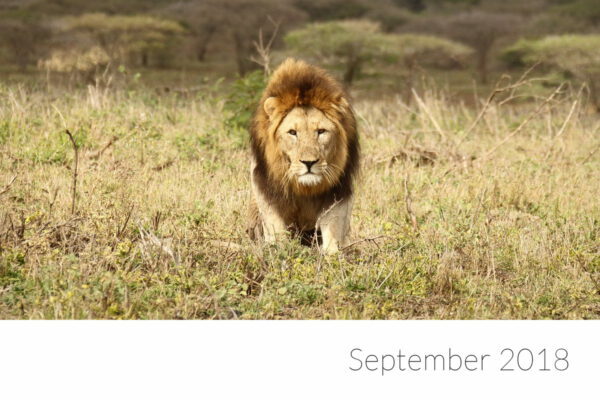 I call it the month of the Lions. 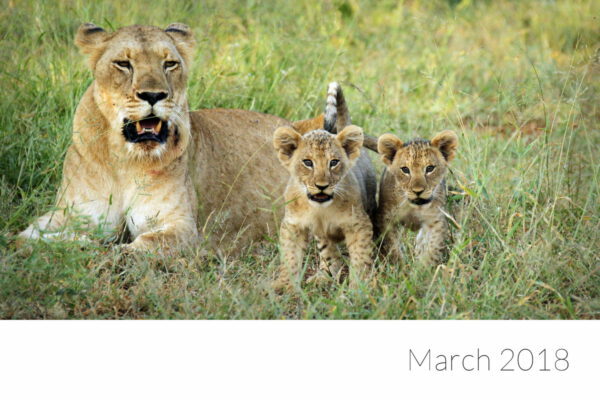 All North pride females presented their litters to the world and all the sudden we had 10 new Lion cubs! 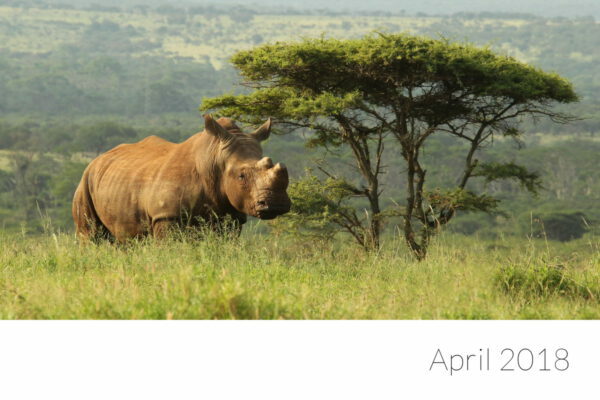 One of my favourite subjects to photograph are White Rhinos on the Thanda Safari savanna. I really like this shot. The savanna was still quite green at the time. It is always very existing when a herd of Elephants appears around a corner and one has to practice driving backwards to get out of their way. 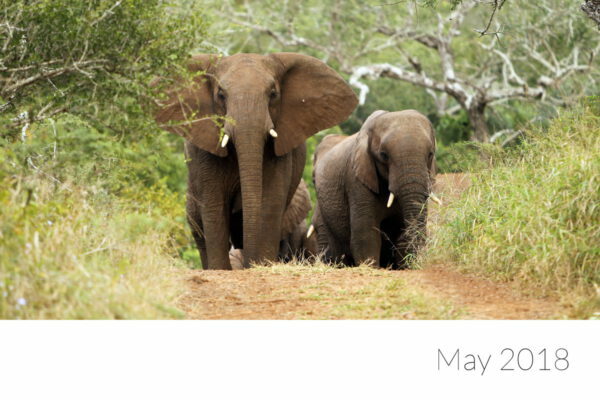 On this day in May the herd was in a hurry to get to a waterhole. And so was I! Chewing the cud. 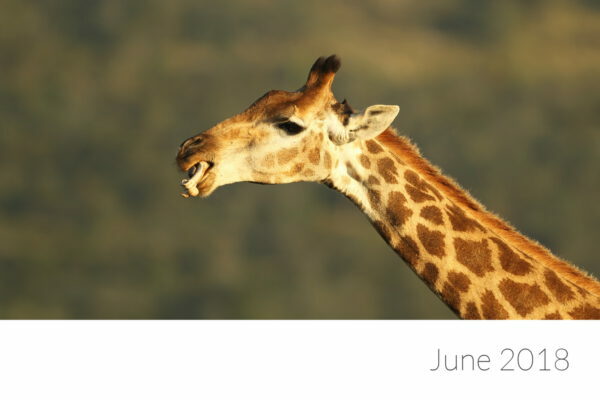 This Giraffe was supplementing its body with calcium and phosphorous from an old bone by chewing on it. This picture was taken in the winter month when this behaviour can often be observed. 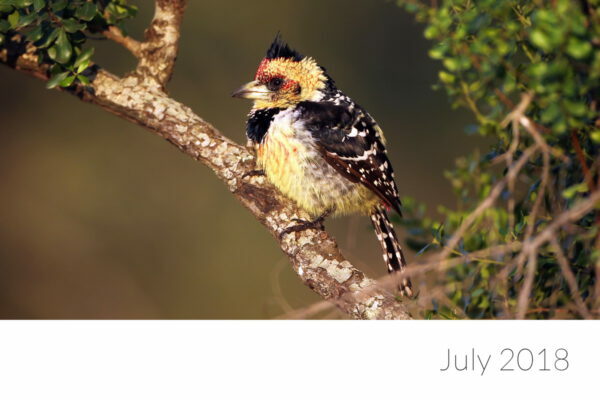 The Crested Barbet is one of the most colourful small birds on Thanda. They never sit still for long, so getting a good picture needs a bit of luck. The thin vegetation in Winter makes this a bit easier. In the winter month the Elephants often visit the Thanda Safari Lodge for an afternoon drink. 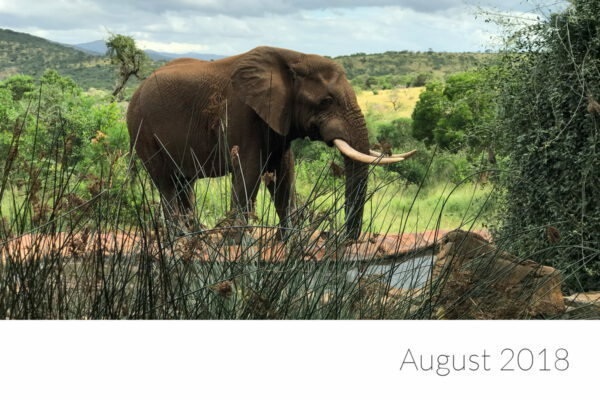 This is an image of one of the largest Elephant bulls on Thanda stopping by for a sip. By this time of the year the bush and the savanna is dry, brown, yellow and grey. Thanda's dominant male Lion is getting up after warming himself in the early morning sun. A bit of hanky-panky in spring. The most natural thing in the world. Making new Zebras! Note the Buffalo in the background watching with interest. 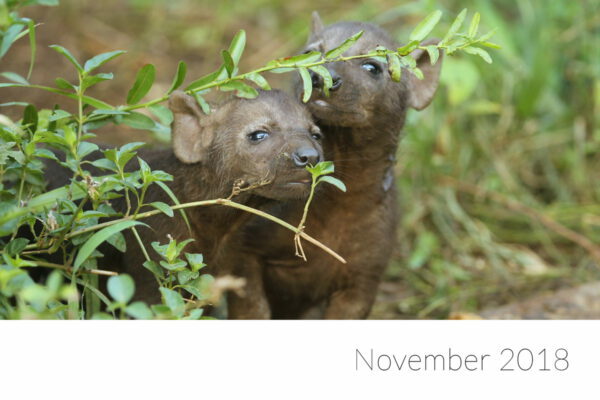 Baby animals are always cute, but little Hyena puppies win this year's price for cuteness. In the last two month we had many sightings of them around their den. Summer rains have started properly and the savanna is turning green again. Our new Cheetah males love the open areas which they share with many species. 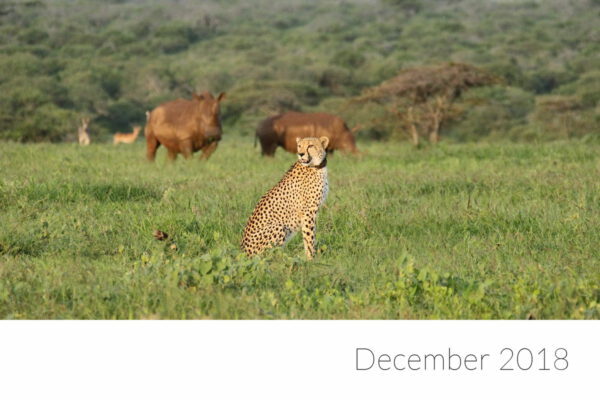 In this image Zebras, Impalas and Rhinos are posing in the background for this Cheetah portrait.